Oh, my, Et tu Brute. I feel like I’m being betrayed by time. Daylights savings time that is. It came to most of the country on Sunday, but not to Arizona. We have so much time on our hands that we don’t want to make our days any longer than they already are. No need to give the legislature or Government any more time in a day to screw things up and make laws that seem like an episode of South Park. QR Codes come to the Arizona Daily Star. 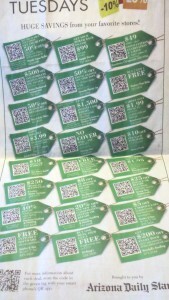 Yes this Tuesday the 15th of March there is a whole page of coupons that appear now to be a regular feature of the Star. 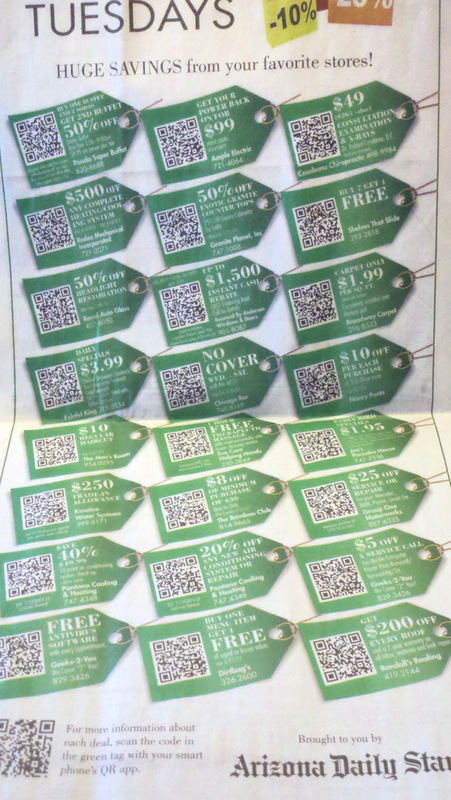 Called “Green Tag Tuesday” If you aren’t familiar with QR Codes this page is going to look very strange. If you don’t have a “Smart Phone” you won’t be able to get in on the “fun”. I’ve never been a fan of IE. It is has been the most difficult browser to program for. All the others seem to “Play Nice” except, IE. We always have to do extra things to accommodate it’s structure. Now IE 9 is out, “for windows only” but not just for Windows, it has to be Windows Vista, or 7. If you are running on XP forget it. I’m not going to upgrade all the PC’s in our house to XP just so we can use IE 9. Not going to happen. Especially when Firefox and Chrome run quite well on XP. Thank you very much Microsoft. War and rebellion in much of the world; earthquakes moving continents and islands. Japan today is 8 feet closer to the US than it was before the quake. The day of the quake the the entire earth had a shorter day. The Tsunami sent a wave around the world. Now the lose of life in Japan is expected to be more than 10,000. And nuclear power plants in Japan are in danger of catastrophic meltdown. In a way, yes. It is the end of the world has many have known it. 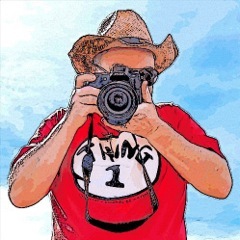 Many countries of the world have been changed dramatically so far in 2011. Is it all coming to the end in 2012? Did the Aztec’s really predict this as the end of the world or was it just the fact that they ran out of room on the largest round stone they could find? 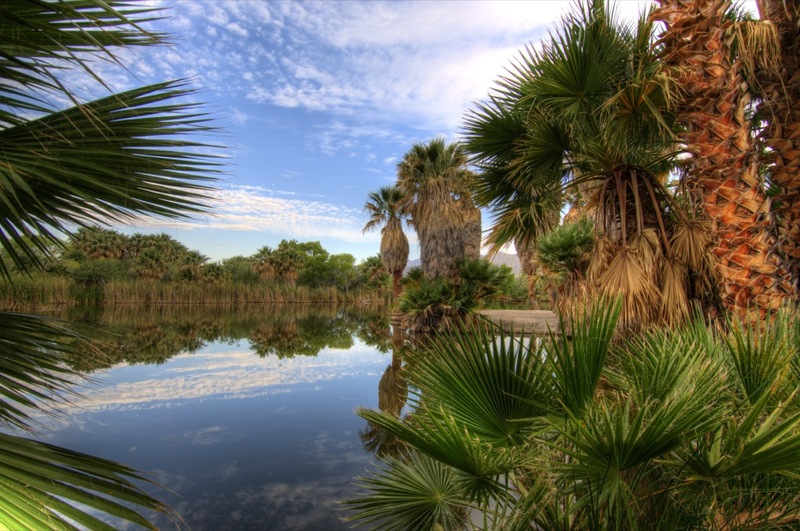 It’s warm and windy here in Tucson today. It is the kind of day when I was growing up back in Ohio when we would get home from school and head out to the soggy fields where the frost was coming out and the grass wasn’t quite green yet. A time when the world was coming to life after a winter of cold and bleak black and white scenery. The days are what we make of them. We choose what to focus our lives around. I wonder how things would have been different if they had QR codes while wandering in the wilderness? Frankly, I think we are pretty much wandering in the wilderness these days. It’s just a technology, information overload wilderness. I think I should unplug, power down, and go fly a kite. Yes, go fly a kite, then wait for the world to end..